Hebrew psalms make heavenly melodies of psalm music played by the Hebrew letters themselves! No doubt there are more experiments needed to determine the scope and validity of this research. More interesting and unexplained findings are being discovered almost daily. One such phenomenon is what we found in the graphic representation of the soundtrack of Psalm 148. To our amazement a vivid imprint of a Star of David appeared in the visual graph of the sound of the word "Hallelujah." The Six-pointed star showed around the forth syllable, which sounds as "Yah," (God" in Hebrew). These findings confirm the notion that the Bible consists of many layers and has a vast amount of information encoded into the original Hebrew text in variety of forms. ABOUT MUSIC FROM GOD For years, Uri, an Israeli Hebrew teacher, was talking to everyone who's willing to listen about his idea of music in the Bible. Uri knew of an old Hebrew tradition about the creation of the world. According to the story, God used the Bible as a blueprint for his work of creating the universe. The 22 Hebrew letters in pre-determined combinations were used to accomplish this task. 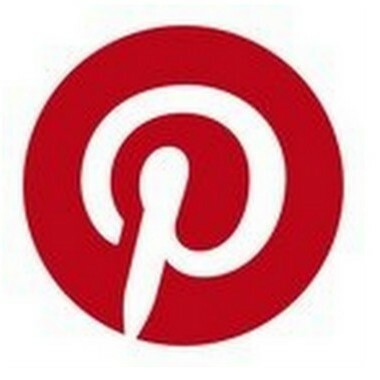 Those letters therefore represent the physical forces used in the creation process. Today, new evidence confirms the idea that the original text of the Hebrew Bible is multi-layered and goes much deeper than the surface story. Mysterious codes embedded in the text contain information that could have not been written or obtained by human beings. "Why," Uri has asked himself, "would one of the layers of this complex text not be music?" And if there is music in the text, how would one find it? The answer Uri came up with was probably the simplest one: assign a musical note to each Hebrew letter and let the Bible "play itself..."
Early in 1997 Uri and some of his students collaborated on the production of this project and what they found--after long and exciting months of experimentation--was simply stunning! YES, there is Divine music encoded in the Hebrew text of the Bible! It is beautiful and meditative. Part of the music sounds like ocean waves, other parts lift the spirit and fill the listener with joy. The first experiments concentrated on certain chapters from Psalms. Tradition tells us that reading Psalms aloud in Hebrew brings healing to the sick and helps individuals overcome adversity. How does this happen? Could it be that sound--the combination of Hebrew syllables--can produce some unknown effect? An old Jewish legend tells us that "he who possesses the knowledge of how to form the right combination of Hebrew sounds can create and destroy worlds...." If that is so, then music is just another "delivery method" of those powerful forces and actually has the same effect on people (or matter) as the Hebrew text has when it is read aloud. Psalms that are known for their healing properties were chosen. The assumption was that healing will occur in any form of delivery of this unknown power. In an amazing way, it seems to work just as predicted. People report an immediate calming effect, a meditative healing quality that sounds unlike anything you have heard before. The effect is amplified when you close your eyes and the music seems to work best while resting, while meditating or while praying. Tunes of Psalms are reverberating in my mind while I am writing. Without words, melodies only. This music is older than any song I have ever heard, but it is probable that it was not played for thousands of years. Maybe never. Not even by King David, the author of these Psalms. I am talking about the sounds of God's words that were translated to music. Responsible for this creation are two people: Uri Harel, an Israeli Hebrew & Bible teacher, and Kevin Zadai, a musician from Phoenix, Arizona. The two developed a method to replace the letters of the Hebrew Alef-Bet by musical notes. They used synthesizers to create hymns of praise made of actual Psalms. 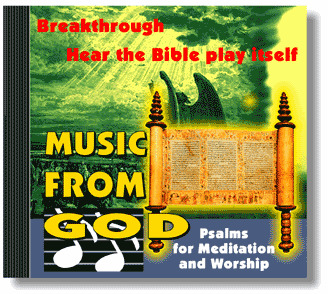 The result is 11 Psalms that were recorded onto a CD and published under the name "Music from God". What catches the ear is the melodic harmony. The notes express the Alef-Bet and supposedly are not connected, but in some magical way they create melodies that sound like the wind, full of powerful vibrant echoes. At first it may be hard to recognize the perfect wholeness of each Psalm, but after listening to it repeatedly it becomes evident. Every "chapter" opens with a soft sound that flowers and grows into a beautifully orchestrated harmony. Trumpets, bells, strings and other traditional instruments were used in order to achieve this melodic perfection. The somewhat metallic sound of computerized synthesizers becomes a part of this music. Until now I never cared much for computerized sounds, but the digital perfection of this work gives birth to a plethora of supernatural qualities. Hymns of Psalms speak directly to God, begging for love and justice. Anyone who listens to this music, even without knowing what it symbolizes, will feel similar feelings of prayer. I am not certain if King David was fully aware of the musical quality that he wrote, even though he was known to be a very talented musician. What we could not know is what God hears when we pray. We convey our prayers in Hebrew, English, Yiddish, German, Spanish, French and more and more; a blend of languages, dialects, accents, slang etc. It would be a bit childish to expect God to listen to each prayer in its source language. Now we added a new language, the language of the computer. The two authors, it seems, have succeeded in breaking a code that is maybe as old as the written word.